Last year I was at Society of Vineyard Scholars’ annual conference and had lunch with a really cool dude with a beard. He informed me that he had started attending the Central Vineyard in Columbus, OH and was a writer. As an aspiring author, I was immediately interested in hearing more about his experience as a writer, so I asked him what he’d written. He told me that one of his books was Coffeehouse Theology. I was talking to Ed Cyzewski. 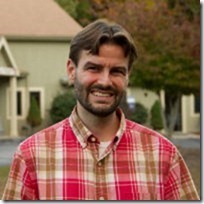 I was pretty familiar with Ed because I followed his theology blog (inamirrordimly.com). Ed’s one of the voices that I find very helpful in navigating how the Church and postmodernism relate. And I had always wanted to read his books. Ed was kind enough to provide me with a number of his books to review and, truth be told, I’ve been meaning to write this review for almost nine months. I’ve had the opportunity to read a few of his books and use them as resources for small groups as well as sermon preparation, so I think I have a good grasp on how his books might be used. Coffeehouse Theology is a tour de force of what Christians need to understand in order to understand the importance of theology, the Church, understanding and engaging culture, the role of Scripture and tradition, and much more. In fact, Coffeehouse Theology is my “go-to” for people trying to understand how to become better theologians on mission, as well as to have a better epistemology. And the beauty of Coffeehouse Theology is that one does not need to know what epistemology is in order for this book to help strengthen one’s awareness of the different influences that shape our understanding of both the Bible and the world around us. Ed’s book is a great resource, especially if you are looking for ways to help Christians become more faithfully thoughtful and missionally effective. Coffeehouse Theology is comprehensive and understandable, providing rich coverage of what I think is very important for Christians to be thinking about, talking about, and know! What’s really great about this project is the Bible Study Guide and the Discussion Guide. Good authors will tell you that behind every idea written, there are many resources and references shaping that paragraph. There’s simply no way to include everything that a book covers. The publisher, Navpress, is to be commended for providing the Bible Study Guide because it allows Ed to go into more detail behind the biblical reasons for the importance of contextual theology! Make no mistake, Ed does not buy into a postmodern approach that rejects the authority of Scripture. The Bible Study Guide is full of biblical references that produce thoughtful discussion, as well as interaction with global and historic voices. Plus, there is a focus on devotional meditations, missional engagement, and personal application. The Contemporary Issues Discussion Guide is also excellent because it provides the contemporary contextual issues that are most controversial today. And the Church does itself no service by ignoring these issues. Ed raises some great issues: social justice, racism, gender issues, homosexuality, slavery, among several others. This is a great way to discuss controversial issues with a pastoral dose of love and understanding. So here’s my suggestion: Churches would be wise to do a “Coffeehouse Theology Campaign.” The issues raised by Coffeehouse Theology would be great to cover in sermons (or among church leaders) and the subjects raised in the Discussion Guide would make for a great small group study, especially for young millennials. 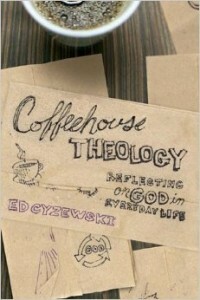 I can’t recommend Coffeehouse Theology enough. Switching gears, Ed Cyzewski and Larry Helyer have written a really good book toward understanding the final book of the Bible, Revelation. 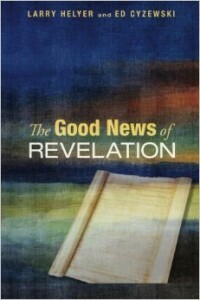 The Good News of Revelation is a combination of scholarly background information (via Helyer) and creative stories on how Revelation applies to the real world (via Cyzewski). The Book of Revelation need not be feared, nor is it as perplexing as some would have you think. Rather than reading Revelation as a chronological map of the future, The Good News of Revelation provides excellent insights for readers to understand why Revelation was written and how it can be read and applied in today’s culture. I’d suggest that preachers/teachers looking for ways to work through Revelation read this book because it is full of practical and creatively engaging ideas that will make Revelation exciting and not discouraging or depressing. The bottom line is this: if you see an Ed Cyzewski book, buy it for yourself and purchase copies for your friends and family. He’s an excellent author and a really cool dude. Hey, thanks so much for the kind words in your review! I’m really glad you appreciated the study guides. I have BOXES of them in my basement if anyone wants a pile of them on the cheap! I think you meant “evil genius.” Ha! That’s probably true.. ha ha ha ha ha ha.